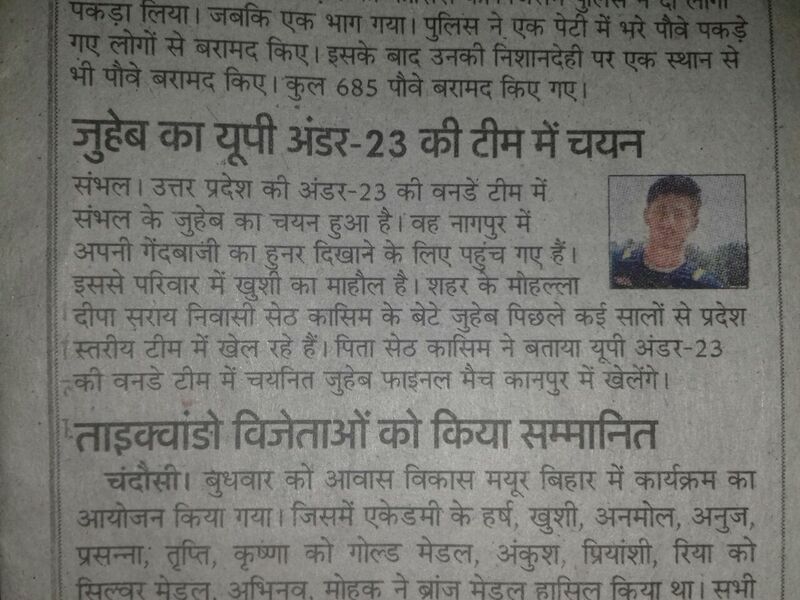 Sambhal News : A young, dynamic and energetic Zuhaib has selected in under 23 UP Cricket team. Zuhaib is a student of modern school Delhi. 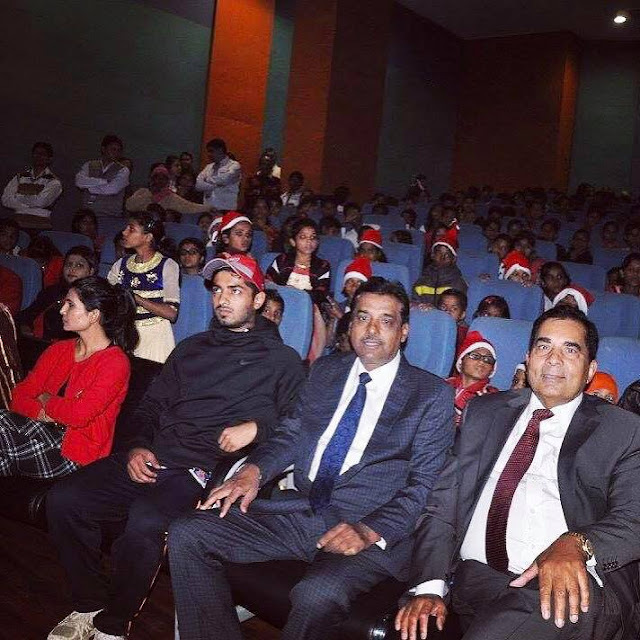 Few years ago, he was also a team member of UP under nineteen cricket team. He is very hardworking and passionate guy. He does lot of extra hard work and efforts for getting a chance in under 23 team. He joined sports club at the age of 12 and after that proved himself that he has some extraordinary skills. He belongs to Deepa Sarai Sambhal and son of Seth Qasim. 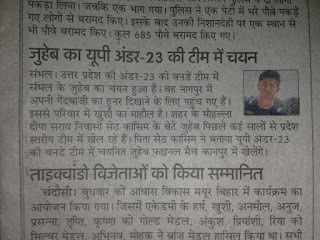 His parents are very happy and appreciated him after the selection in up team. Zuhaib gives credit to his parents for their sacrifices and prayers on him. His father Seth Qasim did really very hard work on him. He would take Zuhaib to cricket training every day. Zuhaib is a very good all rounder. He is right handed batsman as well medium pacer. Zuhaib never wanted money. His goal was the boundary, he loves the sound that comes from hitting the ball to the outside of boundary. Young talents such as Suresh Raina, Mohammad Kaif, Piyush Chawla, R. P. Singh and Praveen Kumar also have passed through Uttar Pradesh under 23 team and gone on to represent India. In coming Ranji Trophy 2018 there is a golden chance for Zuhaib to perform well so he would select further for indian cricket team. Under 23 selected team members may also participated in vijay Hazare Trophy, Nissar Trophy and Irani Trophy. The following players have also selected with Zuhaib in under 23 team. Their names are as follows :TEJASHVI JAISWAL, SUNDRAM SINGH, SALMAN ANSARI, VINAYAK TIWARI, ATIQE AHMAD, VIKASH MAURYA, ABHIJEET SHRMA. Zuhaib is ready to face upcoming challenges. He says his target is to join Indian cricket team. He will try to give his hundred percent output to the team so we will win all matches from other states. Uttar Pradesh Cricket Association will prefer to those members names for other trophies who will perform on every match. You know well UPCA has produced international cricketer like Mohd. Kaif and Suresh Raina in past.